Kitchen and bathroom are considered as the two most important rooms in a house and among them, the bathroom is also the most crucial room in a house. If it is the most used room then it is most likely to show problems at an early stage. Many people consider bathroom renovation as an unnecessary task, quite a time consuming and very costly as well. 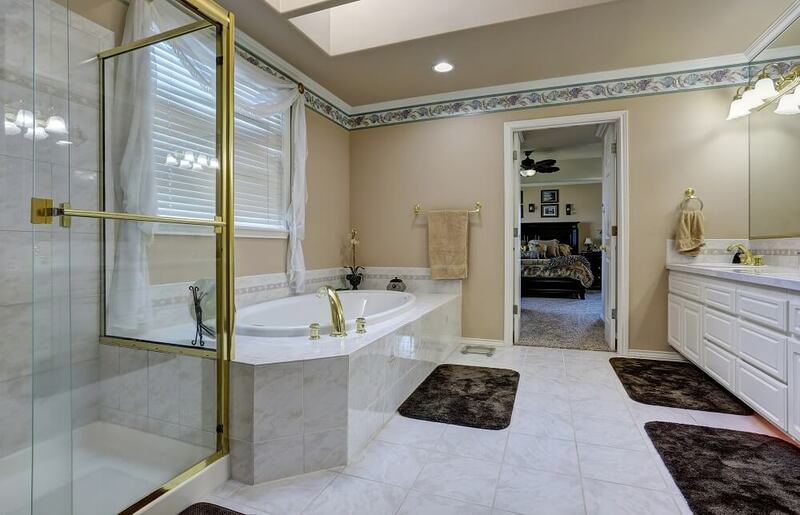 But on the other hand, there are many benefits of renovating the bathroom. It will also increase the overall value of your property so if you are planning to sell your existing house then you should do some renovation work in the kitchen and bathroom. Renovating the bathroom does not mean completely destroying it and start again from the beginning. A simple change of tiles and bathroom fittings can enhance the overall appearance of the bathroom and that can also be termed as bathroom renovation. To Fix Some Existing Problems – After a certain period of time many bathrooms start facing water leakage problems and that leads to the rotting of the floors. In addition, it starts affecting the tiles and mold growth starts taking place. Therefore, a renovation work in the bathroom helps to get rid of those problems and the bathroom floors, tiles, and taps are maintained properly. Increasing The Storage Space And The Appearance – There are many people who renovate their washrooms to increase the storage space and to make it look much better and cleaner. Various companies for bathroom renovations are coming up with different ideas and equipment to increase the storage capacity in the bathroom and to give it a new look. They are also coming up with different stylish waterproof cabinets to store items which are long-lasting and help in changing the appearance of the washroom. Therefore, bathroom renovation to increase the storage space is a common thing nowadays. Better Functionality – Due to regular usage over a certain period of time, the shower tap, basins, jet sprays, shower stalls, bathtubs, etc. start showing the signs of damage which requires an immediate renovation. If not done on time, it can lead to a major accident in the long run and can be very expensive. Therefore, to avoid that the damaged items or the products should be repaired or should be replaced on time. There are many beautifully designed basins, bathtubs, etc. in the market with the latest technologies that can save water and add more functionality to the bathroom. Therefore, a proper renovation of the washroom can help in better functionality for many years without any signs of a problem. You can add some cabinets in your kitchen because they are center of attraction. Making It Safer And Energy Efficient – One of the most important reasons for the bathroom renovation is to avoid accidents and to make it safer. Most of the accidents in a house occur in the bathroom. Starting from infants to old people all is a victim to this cause bathroom floors with the usage of water gets slippery. Therefore, to avoid these people are going for slip-resistant flooring. They are also renovating it by making the door a little wider and using a tougher kind of shower cubical. In addition, people are introducing new ideas and methods to conserve energy and water for the sake of the environment. Nowadays many toilets are coming up with a low flow system that saves a huge amount of water daily. The introduction of radiant flooring and new high-performance windows help a lot in energy efficiency by keeping the bathroom warm during winter seasons and eliminating excess heat during summer seasons. Bathroom renovation not only means destructing and starting from the beginning but also installing or changing the bathroom fixtures and appearance of the washroom. If people keep it pending for a long time than it actually worsens the condition and the renovation costs become very high. Therefore, bathroom renovation is a very important thing that no one should neglect.